but she is part of a disappearing breed. 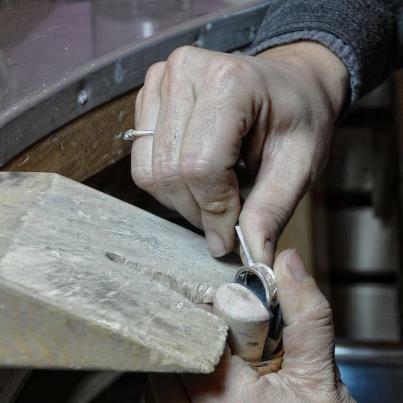 Italy is renowned for its artisans -- from bakers to tailors, jewelry makers to marble workers. They create unique masterpieces by hand, even in a mass-produced age. But these artisans and their work is at risk of disappearing, leaving the wider world without skilled craftsmen trained in the Italian tradition. Artisans have crafted Italy. They sew wedding dresses, knead homemade breads, paint ceramics and much more. But these Michelangelos of the manual arts are dying and their mastery with them. Italians, despite high unemployment rates, aren’t learning these crafts. Apprenticeships no longer exist and the artisans’ work is already limited in a global marketplace favoring low prices over quality. If that weren’t enough, the Mafia often extorts from these small, vulnerable businesses. The Made in Italy tradition is at risk. These pieces delve into this complex problem that's much more serious than ensuring hand-stitched handbags are still available for trophy wives. A country's culture and economy hangs in the balance as well as age-old traditions respected worldwide. Each piece examines a craft -- tailoring, metal working, and baking. The men and women take us into their workshops and kitchens. They reveal their artistry, their worries and what they're doing or unable to do to keep their arts alive.